A leather jacket is probably the leading classic trends which are appreciated by many nowadays. Many individuals value the leather jacket as his or her precious property as it provides them a stylish and suave glimpse. As time passes, comfortableness and color of the jacket might not be the same as completely new one. Nevertheless, with excellent care and cleaning steps, it can be stronger. Therefore proper care must be considered when cleaning up and maintaining it. Cleaning of garments might not be as simple as it sounds. If an incorrect decision is made, our clothes can finish up in damage. An example is cleaning a leather jacket. Placing a leather jacket into a pail of water and laundry detergent may end up being disastrous. 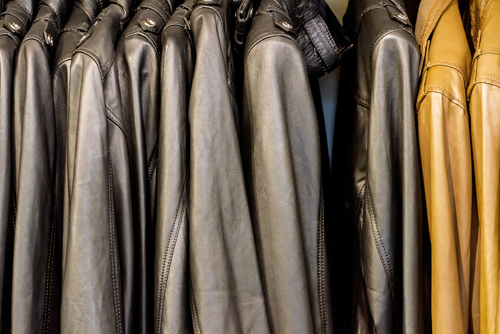 We realize that cleaning of a leather jacket in the home isn't always easy. A leather jacket needs to be refurbished and cleaned annually. Before we begin cleaning our jacket, we must read all of the care directions on the inside label. If there are particular instructions, we have to do as instructed cautiously and completely to avoid ruining our jacket. a. To clean the outside surface of the leather jacket, we must make a bucket of tepid to warm water and then add mild soap or detergent. Mix it nicely and then we can wipe our jacket surface softly. Before wiping the full jacket, we may wish to test out a tiny patch of leather jacket to make certain that the soap wouldn't spoil the leather. b. Take special care and don't scrub the jacket, specifically surface of the leather jacket is sleek. We can make use of a damp cloth or sponge to wipe the leather jacket and soak up the surplus water and wetness. c. We must remember to hang the jacket in a region with air flow for it to dry out. We shouldn't reveal our leather jacket to sunlight soon after washing as it might damage the leather. Once it is completely dry, we must use some leather conditioner to maintain the leather versatile, soft and in good shape. d. For storage, we must never flip the leather jacket. Always hang it to ensure that wrinkles won't form on the leather. We might wish to seek advice from a leather care and upkeep expert before our first try to wash the jacket. a. To thoroughly clean the liner of the leather jacket, we must start by vacuum-cleaning the inside of the coat. It is best to vacuum by hanging the jacket or putting it spread on the floor. In so doing, any dirt or dust that's stuck in the liner will be eliminated. b. The condition of the liner will figure out its cleaning process. If the dust can be taken off via vacuum, give it time to air or we could spray a few freshening spray on it. c. If it's still dirty, use a combination of water, laundry detergent and baking soda and clean the liner with the cloth or sponge dipped with the mixture. Ensure that the sponge isn't dripping wet as it will have an effect on the leather on the reverse side. d. Using a dry cloth or cloth or sponge will eliminate any excessive moisture. Just like washing the leather surface, we can hang it to dry when done with cleaning the liner of the leather jacket. 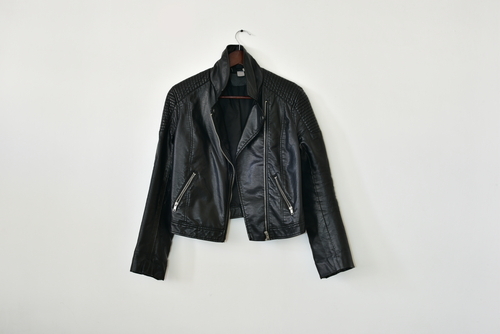 At home, there are many ways we can do to maintain the leather jackets cleaner for an extended period of time. a. We can use olive oil on the places of stains on leather jackets. As they are gentle and delicate, they can’t carry any chemical reaction or the impact of detergent. Olive oil performs very efficiently and cautiously upon the surface of leather. b. The use of lemon juice upon the surface of tleather is completely safe. Tough and terrible stains are often removed with a little bit of lemon juice. Though the fresh lemon juice has citric acid, it doesn't harm the delicate textile of leather material. c. Another way is to apply a very little quantity of detergent or shampoo to completely clean up the dirt from the jackets made from leather. With a small amount of shampoo or soap mixed well within the water, run and rinse a sponge bar throughout the body of leather jacket. d. Leather jackets usually tend to smell bad after having a certain time period. To stop the smell, they might require to be hung in air and not in direct sunlight. e. Stains needs to be removed or dry cleaned as quickly as possible to avoid bacteria in the stain to prey on the skin and triggered permanent damage. With all the previously discussed ways, it's not always feasible to keep the jacket totally clean with home care alone without getting help of professional cleaning services. This sort of cleaning demands some level of knowledge. Leather jackets are delicate, very sensitive and they desire quality care. Only home cleaning can't give our leather jackets the feeling of freshness. Leather coats and jackets offer a wonderful way to keep warm throughout the cold winter season. Thankfully, maintaining them looking their best isn't difficult and doesn’t need to consume our time. It is possible by a specialist or completed perfect at home. It will help to keep our leather jacket looking its very best all season long. As Leather is an extremely versatile and durable natural material, good care and quality dry cleaning is a must and this help keep our leather jacket looking wonderful for years. 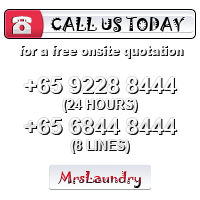 If we are not sure or have any questions about cleaning the leather jacket ourselves, the quickest and simplest way would be to send it for specialized leather jacket dry cleaning. They'd definitely be knowledgeable in leather jacket laundry. 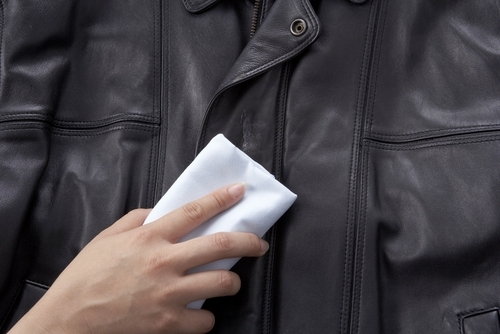 Leather jacket cleaning is an integral part of garment care for this beautiful apparel. While leather jacket is assigned to fashion and style, great care has to be taken in order to keep up its shine and remarkable appearance.